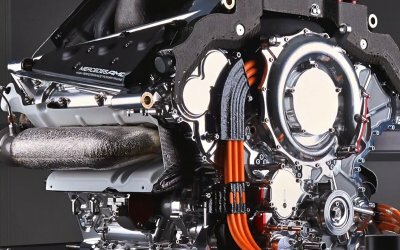 Speaking to Auto Motor und Sport at the most recent engine working group meeting, Renault chief Cyril Abiteboul said the target is to have simpler and cheaper power units as of 2021 - after it was previously agreed that the current engine formula would remain in use until the 2020 championship. "We are open to technology, but it should not exclude anyone from winning." Abiteboul said. "That is neither good for the best manufacturer or the worst. The engine should make a difference, but we need an engine that is relevant to the series and also good for the sport. "We need electrification, but we also need a better balance between engine weight and power," the Frenchman said. and cheaper - to get right, while resulting in a lighter overall package, which in itself also helps performance. For this very reason, the Frenchman also revealed that four wheel drive is not likely to be considered. "Four wheel drive is not a good idea because it means more weight. "The problem with electrification is that it is heavy, and that reduces efficiency. We must find a middle road. Hybrid yes, but not too much," he added. The weight of cars and engines already proved a major talking point ahead of the 2014 season. At the time, the minimum weight of the power units was set at 145kg, whereas the previously used V8 engines were at a minimum of 95kg, excluding the KERS system. The minimum car weights were then increased as well, from 642kg to 690kg, but it was deemed insufficient, as ancillary components added to the weight of the car. Intercoolers, an additional gear in the gearboxes and the brake-by-wire system, to name only a few. This resulted in drivers urging the FIA to fix the regulations, but on their failure to do so, many drivers were told to lose even more weight.